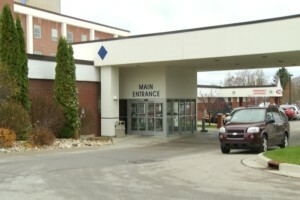 Munson Cadillac Hospital receives an “A” rating for the third year in a row. The rating comes from Leapfrog, a non- profit that works towards quality, safety and transparency in the U.S. healthcare system. The rating is based on patient safety and quality care. They look at the number of medical error, infections and reported harm to patients. Leapfrog gathers data from patient safety experts. Hospitals can be rated from an “A” to “F”. Munson Cadillac says they are very proud of their work and say it feels nice to be recognized. “Everybody in our hospital is really aware of all of the stuff that we do to make sure that we’re taking really great care of people and this is something we’ve been doing for years and that we’re going to continue to do for years,” said Doctor Joe Santangelo, V.P. of Medical Affairs. Munson says they encourage patients to use available tools when choosing a hospital and now this rating is another tool to help make their decision.